In the very hart of Amsterdam, a very tasteful 1 bedroom apartment becomes available May 1 , on the second floor of a former orphanage, which has a “ inks Monument” status. 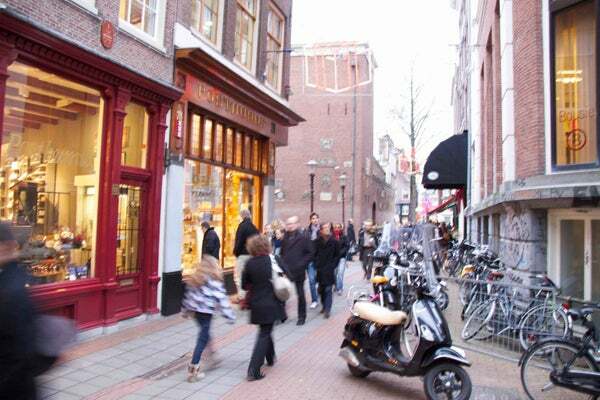 The apartment is fully furnished and situated next to the" Amsterdam's Museum" and is within a stone's throw of Amsterdam's main shopping street: the "Kalverstraat". Nevertheless the cozy apartment is peaceful and quite, due to the monumental double-glazing in front and back and the wall/ceiling and floor insulation. The whole apartment is recently renovated, has parquet floors and is very light as it has 4 windows in the front and 2 in the back. The apartment has high ceilings with visible beams and has a contemporary luxury style. 1 bedroom at the backside with more then 2.5 meter wardrobes .